Most locals have a pre-charted Dubrovnik nightlife route, crafted carefully over their many years of enjoying the local bar scene. Most often, it includes the Dubrovnik Old Town, as a major part of Dubrovnik nightlife takes place in the historic center. Bursting with bars, clubs and restaurants, events and people, the Old Town is the place to be year-round. Locals come there a lot, but summers bring some open-air venues into the mix. 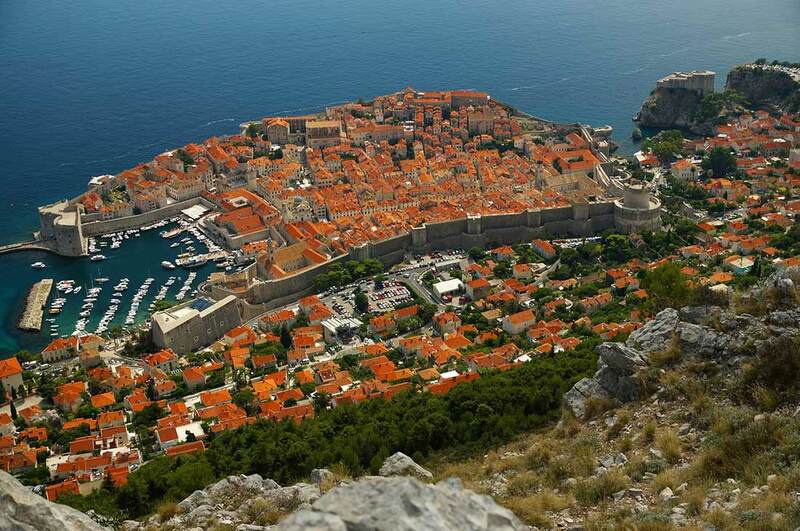 Check out our suggestions for a night out on Dubrovnik. The word ‘nightlife’ ignites a thought of the dark, doesn’t it? But on the furthest south of the Croatian coast, where days take their sweet ol’ time to travel into the night, ‘Dubrovnik nightlife’ officially begins at sunset. As the horizon lights up in fiery colors of the day’s touch down, sit back with a chilled drink in your hand and simply enjoy the moment. That still leaves time to walk back to your home, nap, eat and get ready for the lively dark hours. 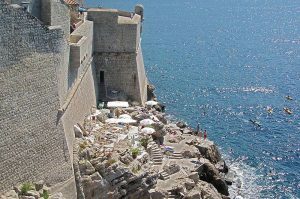 The two famous Dubrovnik cliff bars cling onto the southern side of the City Walls, surrounded in jagged rocks and flirting with the open sea. There’s in fact two Buža Bars, the fancier Bard Bar and the more rustic Cold Drinks Buža. To find them, walk around the Dubrovnik Cathedral and head up Pobijana Street. Bard Buža Bar will come up past Azur restaurant on your left, while the Cold Drinks Buža, the pioneer of cliff bars in Dubrovnik, sits a bit further up the same street. Sunset at Buža Bars means finding yourself face-to-face with the horizon, although probably not one-on-one as these bars are quite popular. Grab a beer or a glass of wine, and immerse into the full-screen version of the daily melt down. It’s hard to beat the sunset from the top of the Srđ hill, stretching right above the Old Town and rewarding with splendid vistas of Dubrovnik’s terracotta roofs, City Walls, islands and region. Enjoy the experience of a cable car ride to the top, or hike the Way of the Cross path (Križni put) for zero kuna. You’ll come up on either end of the Napoleonic fortress, by the plateau or the upper cable car station. Panorama Bar & Restaurant, set between the cable car station and the humongous white cross, is definitely the prime spot for gazing away at the Old Town over a drink, or a humongous piece of chocolate cake. ~ A beer, a beach, a sun down. Locals love the bay of Lapad for swimming, sunbathing, long coffees, and seaside promenades. The main walking strip is completely closed off to traffic and strolling around will introduce you to the fascinating keenness for leisure. Lined with cafes, restaurants and children’s parks, the main strip runs between the bus no. 6 stop by the roundabout and the bay of Lapad. You can catch the mesmerizing sunset over Daksa Island from any of the beaches or bars lining the bay. ~ A drink inside a rock. Even when lulled in by long beach hours, do the promenade along the northern shores of the Bay of Lapad. 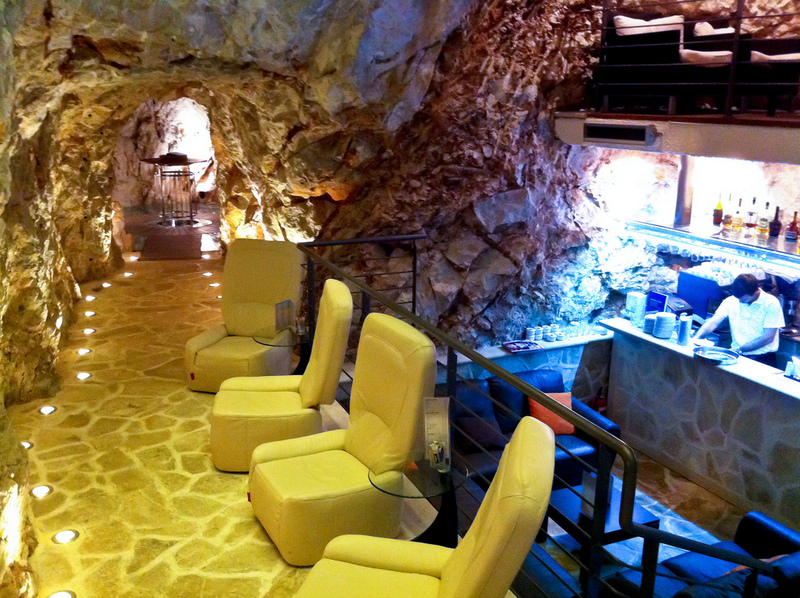 Trust us – one of the most popular and most unique bars in Dubrovnik sits right here: Cave bar More. While you’ll definitely want to hypnotize the sunset from the outside terrace, as dark takes over, retract through a passage carved in rock. 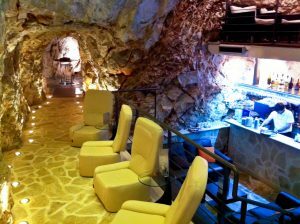 Inside you’ll find a real cave with barren stone walls and modern seating areas, plus one definite highlight – a high cocktail table on a see-through platform over a plunging natural opening. Enjoy a drink in this highly unique environment. On-the-go: Tutto Bene, by the tennis courts on Uvala Lapad promenade. Superb fries, rich tortillas and kebabs, sumptuous pizza by the slice. 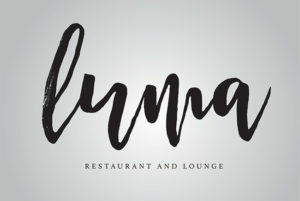 Midway through Uvala Lapad main strip, you’ll find the restaurant Luma and its wonderful open-air terrace, shaded in wild chestnuts and spectacular magnolia trees. With live music and a romantic, but cool atmosphere, dishes here come sprinkled with times to remember. ** Lunch highlights: wonderfully spiced pork ribs in their Sandwich before swimming and Dry Age Burger in a homemade bun. ** If you’re treating yourself to a dinner, don’t miss the Surf and Turf tartare or the sous vide pork belly. While you’ll find that many Dubrovnik beaches have either a restaurant or a bar or both attached, not many will refer to themselves as Dubrovnik beach clubs. Still, the few exceptions to the rule do it well, so hop on over for a beach day! 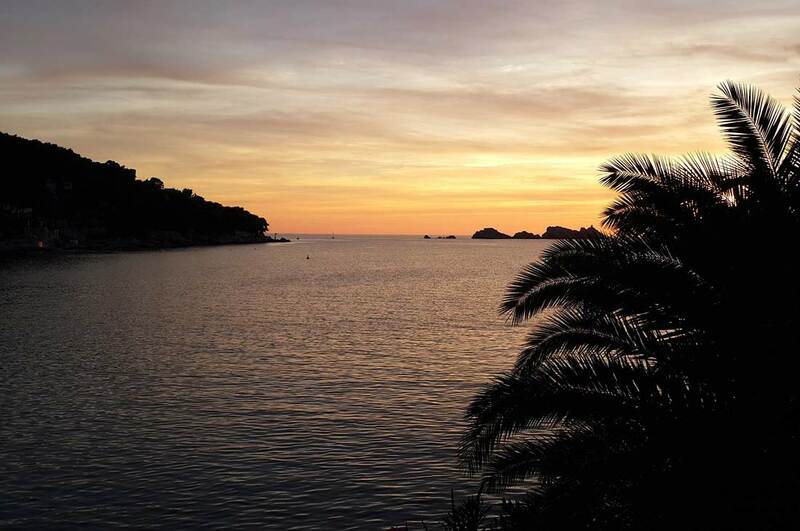 ~ Dubrovnik beach club with the most remarkable view. Situated on the most googled beach of Dubrovnik, Banje beach club by Dubrovnik Old Town enjoys perhaps the most idyllic location of all. Overlooking the beautiful Old Town port, St. John’s fortress, Porporela pier and the island of Lokrum, the views from this place are unparalleled. Banje Beach Club comprises a stylish lounge bar, seafood restaurant and the beach space. Half of the beach is open to the public, while this Dubrovnik beach club manages the other half, offering comfy beach chairs and sun umbrellas, but also day-long cocktail service and resident DJ performances. A great spot to enjoy a leisurely day outside, as the sun sets, Banje Beach Club turns into a nightclub and stays open until 6am. ~ This Dubrovnik beach club takes you away from the hustle and bustle. A newer addition to Dubrovnik beach club scene, Coral Beach Club enjoys the vistas of the mystic Daksa Island and the imposing Dubrovnik Bridge (Most Dr. Franja Tuđmana) from its location on the northern side of the Lapad peninsula, in the area called Babin Kuk. The pebble beach sits adorned with king-size sun loungers and a VIP section is available to those who wish to feel even more special. Cocktail service makes it all the way to the loungers, but snacks are pick-up only, from the cabana-style central bar and resto. All glitzy of light and its reflections, Dubrovnik Old Town sparks up at night. Cruiser crowds are now gone, and the ones who stay get rewarded with this charming setting at its best. Stradun shines brightly, and vivacious murmur echoes in the air, interrupted only by predictably loud beats of the Bell Clock tower. While grandiose palaces stand theatrical and ostentatious along the main street, narrow side streets pulse with chatter and music. You might notice lights in some of the windows above: this is a residential quarter, so remember to be kind when you party. There’s people who need to get up for work around the time when you might be going to bed. Be mindful of their destiny! ~ Cheers: Živili [Zhee-ve-lee] – live long! Wine is a very must when in Dubrovnik. A drink that is in the essence of Dalmatian living was handed out by the Dubrovnik Republic government as supplement for water back in the days when plague was considered water-borne. Often, the same government used wine as a diplomatic gift, to soften and impress even the toughest European rulers. Today, wine makes it to the Croatian tables on all occasions: lunch, dinner, celebration, sorrow and all others. 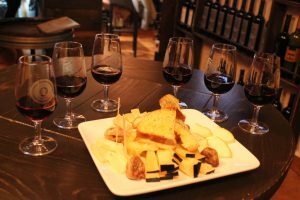 When drinking in Dubrovnik wine bars, keep in mind that the hard labor on steep terrains which goes into the production of Croatian wines also makes it into their price, so keep an eye on your tab. If travelling on a shoestring, consider skipping the wine bars in Dubrovnik and scanning supermarkets for local varieties to try instead. Zorro shop in Od Puča street holds a nice collection of wines from the Dubrovnik region. Dingač is, in fact, Plavac Mali grape wine-growing position on the southern slopes of the Pelješac peninsula. Enjoying ample Adriatic sun, the barren, steep and challenging terrain creates bold and full bodied wines for the mighty, so for the best experience, couple Dingač with strong cheese and prosciutto, or red meat. Savor at Skaramuča wine bar in Dubrovnik Old Town. another Pelješac peninsula position on the southern shores, Postup enjoys quite the same sun as Dingač, but is a bit more flat and bit more easy on the workers. To understand what Postup is all about, get a glass at Matuško Wine Bar. Tucked away in Palmotićeva Street on the northern side of Stradun, this cozy dig charms with a relaxed air, super friendly staff and almost 80 Croatian labels by the glass. Known for daily specials and a variety of tastings, this Dubrovnik wine bar works hard to present the best of the Croatian wine scene to you. Established and headed by ‘Australian born, Croatian raised – but still Australian in sports’ Sasha, the small team of wine experts here make sure to introduce each glass to you, so one might consider drinking here an educational venture. Very down-to-earth in their love for wine, people at D’Vino realize that ‘everyone sometimes needs a beer’, as inscribed on its wall and signed ‘the boss.’ D’Vino wine bar serves two local varieties, but maintains good neighborly relations with the Glam Café across the street, the bar which is the kingdom of craft beers on Dubrovnik bar scene. Wine bar Razonoda steps it up a notch. Housed onthe ground floor of the Pucić Palace Hotel 5* in Od Puča street, the imposing bar and the wooden interior of this all-inside wine bar remind of an original upscale English pub. Serving over 130 Croatian wine labels and about 40 of them by the glass, the passionate sommeliers who work here have something to teach you about each of them. If you really want to learn about wine, book a wine flight here, available any day between noon and 6pm (reservations mandatory). If you’re in the mood for something other than wine, try some of their whiskey or cognac based cocktails. Although a completely non-smoking space, Razonoda also features a humidor which will leave no cigar lover indifferent. Matuško, the region’s largest wine producer has his vineyards in Ponikve on the peninsula of Pelješac, known as Dubrovnik wine empire. His most prized wines come from two locations which have enjoyed the ‘protected geographical origin’ status for over 5 decades: Postup and Dingač. But as his vinery is a two-hour drive from Dubrovnik, Matuško brought his wines closer to larger audiences by opening a wine bar in Dubrovnik Old Town, on Prijeko Street. Serving his wines exclusively, Postup and Dingač are not to be missed, as they linger boldly on your palate, are well-balanced and leave a memorable aftertaste. If you’re looking for something lighter, try the owner’s little quirk, the sparkling wine Don Mateo. Whether you’re into wines or into views, La Bodega serves both. Set in the corner of Luža square, La Bodega overlooks some of the main Dubrovnik attractions, such as the church of St. Blaize, Sponza Palace, the bell clock tower and Orlando’s statue. La Bodega occupies a former nobleman’s palace, thus its interior showcases the looks of Dubrovnik’s historic interiors, as well as mind-blowing views. When headed to the restrooms on the top floor, don’t miss a peak out the windows! Outside, La Bodega terrace places you amid vivacious daily life of Dubrovnik’s historic center. Choose one of the dozen Croatian wines by the glass, sip slowly and watch life happen as you take a moment to just enjoy. Nightlife in Dubrovnik Old Town boils down to bar hopping between small locales with exuberant personalities. From street to street, from square to square, innumerable venues promise to chaperone you into the night. In the summers, this means squished interiors, packed side streets, and a whole lot of good times. The tiny area within the City Walls, one kilometer square, serves so many different options that it is important to know what you are looking for: fancy setting, people watching or cheap drinks. A stone’s throw away from the Pile Gate, just up the hill, Art Café revives Alice in Wonderland with its happy-go-lucky service style, funky décor and bathtubs adapted into seats. Students, locals and good tune fans flock here, to enjoy a youthfully charming and slightly bohemian atmosphere, and occasional night appearances by local DJ’s. 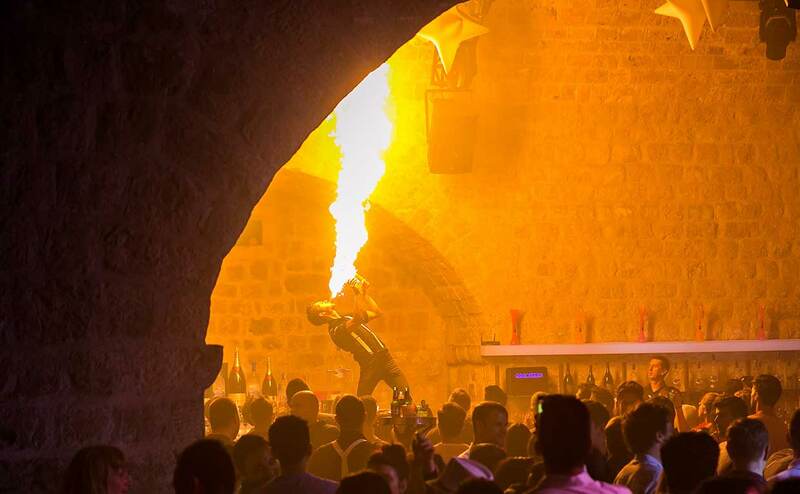 The longstanding favorite on Dubrovnik nightlife scene, Casablanca delivers a happening overture to clubbing in Dubrovnik. Revered by local DJs, Casablanca puts on a party before a party, crowding the Zamanjina Street with all generations of upbeat party-goers. A unique sight on Dubrovnik’s restaurant street of Prijeko, Buzz bar is truly – a bar, as in a place where you sit and discuss and read the stuff written on the walls. Open late, with smoking allowed inside and rakijas and craft beers on offer, Buzz will definitely buzz up your night. An offspring of DJ Mag’s fav Revelin Culture Club, B4 Revelin in Vetranićeva street is the place to start your night strong! All about cocktails, shooters and good music, B4 Revelin attracts youthful audiences, but will definitely get everyone in the right mood for partying all night long! Hidden away in Miha Pracata Street, Gaffe Pub comprises a spacious indoors with the bar and booths and a covered courtyard. Decorated with sport memorabilia and large size screens, Gaffe is the go-to place for all football and rugby fans, but occasionally puts on great live music shows for everyone else. With Guinness on tap and snacks like chicken wings, what more could you ask for? The iconic Dubrovnik bar puts on a live show every summer night, and its fantastic musicians often jam up the entire Bunićeva Poljana (Bunić square). Count on some feet swinging, at least. The live performances and the longstanding history do translate into steep food and drink prices, and the bar has a cash-only policy. In Dropčeva Street, descend a few stairs into the quirky world of Katie O’Connors. It gets lively on game nights, as there are three screens in the bar, but on other nights, Katie’s is a great place to enjoy a chat over a beer, whether you choose to sit inside or outside. Glamourish in essence, None Nina serves their drinks under starlit skies on a backdrop of the Rector’s Palace, so… yeah, it’s allowed to feel a bit snobbish. The top place for people watching, at None Nina, drink cocktails. It’s the only drink that fits the scene. Named after its miniscule interior space, Micro enjoys a sizeable terrace in the corner of Bunićeva Poljana, just behind the Cathedral. Popular with locals for hip tunes, cool staff and good drinks, this place is always happening. Pop in for an afternoon coffee and an evening warm up. Packing the best of Dubrovnik into a night-long pub crawl, Ziggy Star tour takes you to B4 Revelin, Casablanca and Revelin Culture Club. Get the groove on with an hour of free drinks and then dance the night away at local hotspots! Advance booking required. walking up and down the main thoroughfare Stradun to see and be seen: doing a couple of djirs. From djir, from Italian il giro (n) – round. Popular with true locals, sweethearts, romantics, window shoppers, chatter-boxes, girls and random visitors, strolling up and down Dubrovnik’s main street charms unselectively. It may seem crazy to just go up and down a street, but look down, eye-level and up to see the many perspectives. In the summers, the Old Town is happening until 2am at the latest, but things get significantly quieter thereafter. 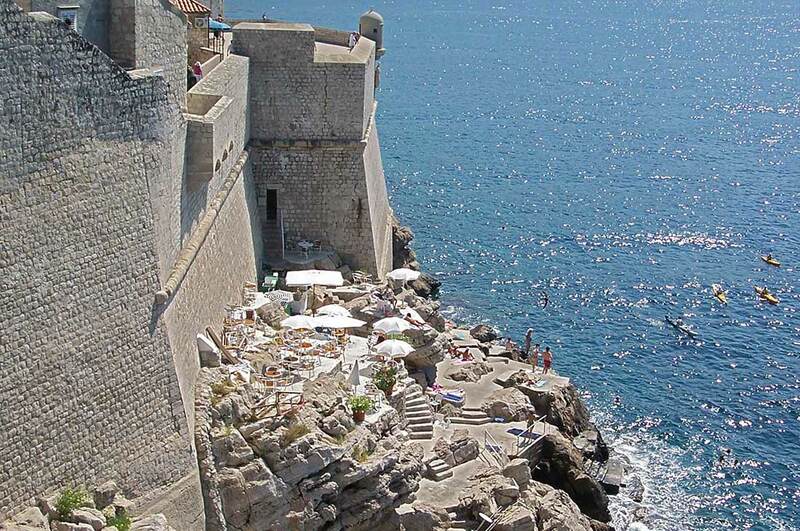 With special licenses required for bars to work later like clubs, most places choose to remain simple Dubrovnik bars. Hours of operations are under City regulation and hence vary throughout the year, but typically expect the bars to stay open until midnight outside of the tourist season and until 2am in the peak summer. After closing, head out to one of Dubrovnik clubs. The spectacular combo of an impressive 16th century fort, world-class set up and hip DJ names bumped Revelin up 26 spots on DJ Mag’s Top Clubs in the World 2017 list. 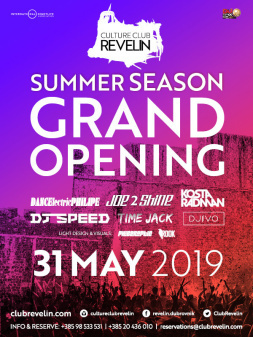 Now listed as the 49th club in the world, Revelin simply steps it up a notch and hence sits at the top of Best Dubrovnik Clubs list. 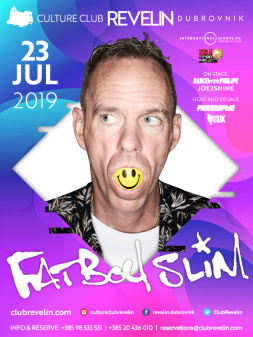 With programs ranging from student parties in the winter period, to hip international electronica names in the summers, Culture Club Revelin attracts mixed audiences with one common trait – love for great parties. In the summers, Revelin stays open until 6 am every night. Perhaps one of the oldest existing clubbing institutions in Dubrovnik, Club Lazareti owns its image to decades of standing up for Dubrovnik’s alternative scene. The birthplace and playground of many local DJs, this Dubrovnik clubbing movement still today persists to resist the mainstream. Set within the stone arches of Dubrovnik’s historic quarantine, Lazareti enjoys a large outside terrace and some lovely views of the Old Town. Don’t expect too much from the toilettes here, but do count on a lot of groove. 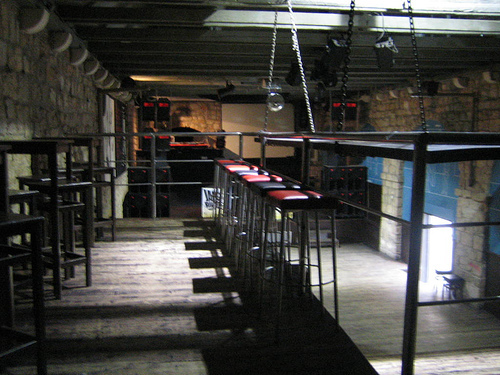 Paradoxically named the Skybar, this Dubrovnik club sits in a basement, just off the main bus station on Pile Gate. Perhaps more easy going than fancy, Skybar manages to keep a steady audience and get super busy both in and out of tourist season. The sub-terrain disco sits on two levels, one with a dance floor and the other with a bar. Although slightly rough around the edges, Skybar delivers a funky time at each visit. Dubrovnik’s internationally renowned festival takes place each year between July 10 and August 25, bringing together actors, musicians and dancers from the whole world in a mission of turning the entire Dubrovnik into an open-air scene. Theatre performances, classical music concerts, opera, ballet and drama all take place in a variety of Dubrovnik’s most spectacular locations: the Rector’s Palace, Revelin and Lovrijenac fortresses, the island of Lokrum and many more. Definitely a superbly unique way of starting your evening out and about, if visiting Dubrovnik during this period, make sure to check the Dubrovnik Summer Festival program. We hope you have enjoyed in Dubrovnik nightlife, travel guide by Culture Club Revelin. To have the best time while in Dubrovnik make sure to check out our guide on Things to Do in Dubrovnik featuring top Dubrovnik attractions, must do things in the old town and some unforgettable Dubrovnik tours.